A warm welcome awaits you at The Willows. You will find yourself in the heart of the North Yorkshire countryside but yet only 4 miles from the vibrant and atmospheric York city centre and York Racecourse. 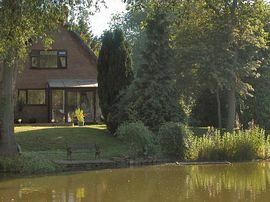 Our exclusive and unique bed and breakfast accommodation has outstanding views across our fishing lakes and is set in 7 acres of natural, mature, scenic surroundings with over 3000 trees and mature landscaped gardens. Dining - Start your day with a hearty breakfast, served to you in our dining area, which also benefits from excellent lake views. Bedrooms - With spectacular views across our lakes all our bedrooms are en-suite and have been tastefully decorated to provide extremely comfortable, luxurious accommodation all equipped to a very high standard. Facilities include colour television, radio alarm, hair dryers and tea and coffee making facilities. Ironing facilities are available upon request. 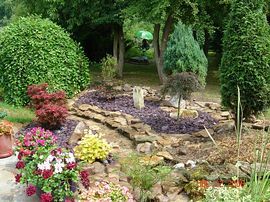 The Garden - A unique feature of The Willows is our fantastic gardens, with magnificent views across our lakes. It is ideal to relax and unwind after a hard day or to bathe in the sun during the summer months. Parking - Private parking facilities are available for your convenience. Luxury rooms with stunning Views across our lakes. 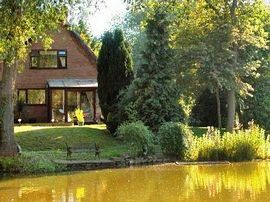 Countryside setting yet only 4 miles from city centre and close to park and ride. Special Diets Provision: Special diets are catered for. Most diets catered for with prior notification. Smoking Facilities: Smoking is not allowed. It is now the law. You will find us on the A59 Harrogate Road, near Hessay. Just follow the Harrogate signs out of York. From A1 just follow the signs for York A59. 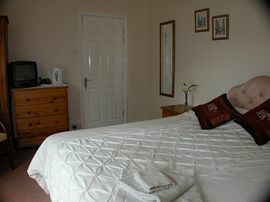 Winter: 3 nights for the price of 2 - £50.00 - £70.00 per room per night. 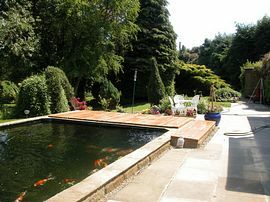 Summer: Discounts offered for 3 nights or more £55.00 - £80.00 per room per night. "Brilliant - great place to relax." "Fantastic and lovely breakfast, will definitely come again." "Gorgeous, comfortable room and great breakfast. See you very soon". "Best B & B we have every stayed in".